Home By Country Malaysia Maybank allows Sikh staff unrecorded leave for Vaisakhi. Kudos! Maybank allows Sikh staff unrecorded leave for Vaisakhi. Kudos! 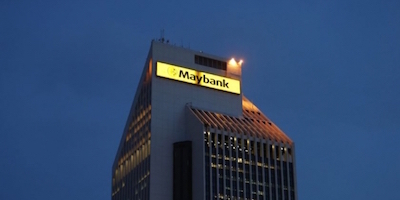 Maybank headquarters in Kuala Lumpur. Sikh staffs at Malayan Banking Bhd (Maybank), Malaysia’s largest financial group by asset size, can celebrate Vaisakhi in peace. Since 2014, the group has allowed its Sikh staff celebrating Vaisakhi to apply for a one-day unrecorded leave on 14 April ‘to spend this important day with their loved ones and fulfil their religious obligations’, according to an email to staff. “This initiative reinforces the Bank’s philosophy of embracing diversity and inclusiveness and is testament of our humanising promise. It is also in line with the government’s stand to grant unrecorded leave to Sikh civil servants on Vaisakhi,” according to the email seen by Asia Samachar. In 2012, Prime Minister Mohd Najib Razak announced that Sikhs in the civil service would be allowed to take unrecorded leave on 14 April to allow them to celebrate Vaisakhi from 2013 onwards. The instruction was formalised in a Public Service Department (PSD) circular, entitled ‘Cuti tanpa rekod perayaan Vaisakhi’ (Unrecorded leave for Vaisakhi celebration) issued on 31 Jan 2013.